Chicken thighs are like the middle child of the chicken parts family -- always outshined by pseudo-healthy breasts and game day wings. 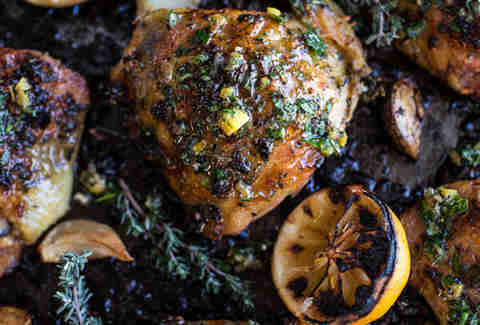 Despite being juicy, cheap, and painfully easy to cook, thighs get no respect! We’re here to change that with these 10 recipes. 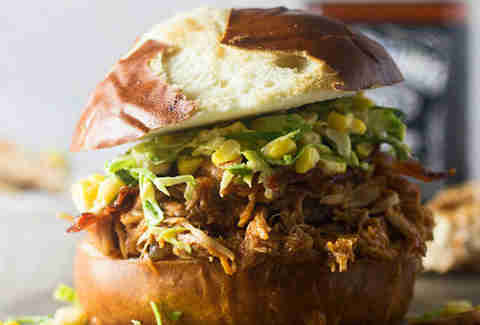 A killer slow-cooker recipe that calls for bourbon, brown sugar, and BACON. Find it here. Honey, soy, and sesame oil marinade make these a comparable alternative to takeout sesame chicken. Recipe here. Two cheeses, sautéed kale, and just 40 minutes to cook? 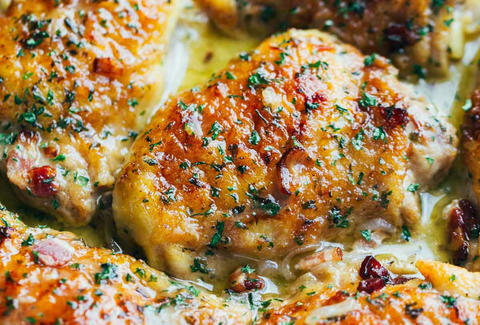 We’re so down with these cheesy, crispy thighs. Recipe here! 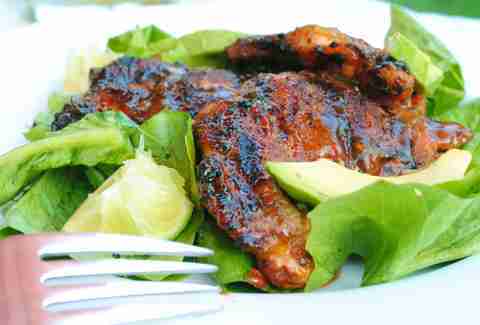 Start with a dry rub and then drown them in a tequila, honey, and pineapple juice sauce. Make it here! 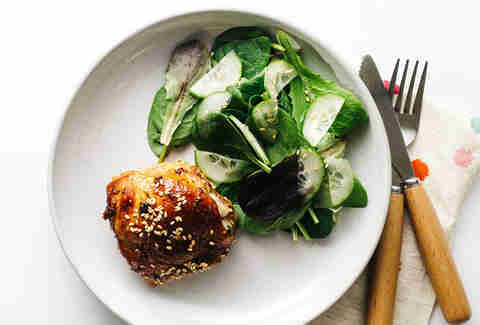 These boneless baked chicken thighs are crispy and crunchy without the splattered oil fry-method mess. Find it here. 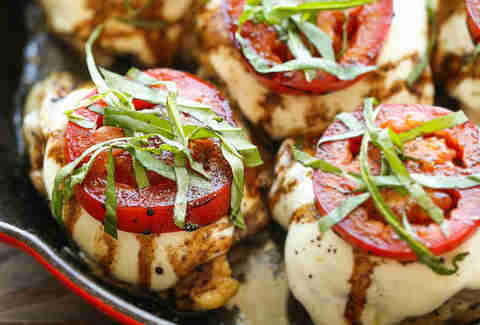 These bone-in chicken thighs are seared until golden before they're topped with tomato and mozzarella and baked. Find it here. 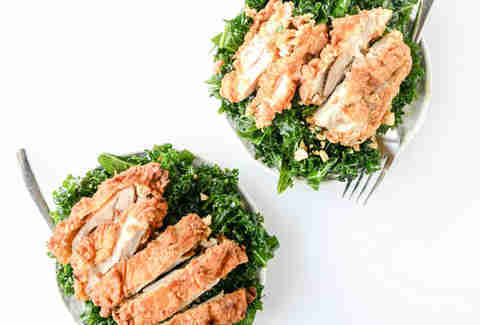 A bed of kale under fried chicken thighs is a fantastic way to get in a serving of the healthy leafy stuff, but certainly not the only way. Recipe here! Between the bacon and white wine and the super-easy skillet preparation, there’s nothing we don’t love about this recipe. Get it here. 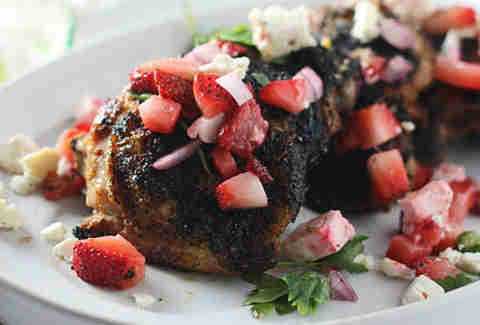 Use bone-in chicken thighs for even juicer results, then brighten it all up with a sweet, summery salsa. Recipe here! A blend of garlic butter, lemon zest, and Parmesan cheese brings major flavor. Find it here.